PDF copies of our ATEX Certificates and IECEx Certificate and associated annex. Issued by SGS Baseefa. 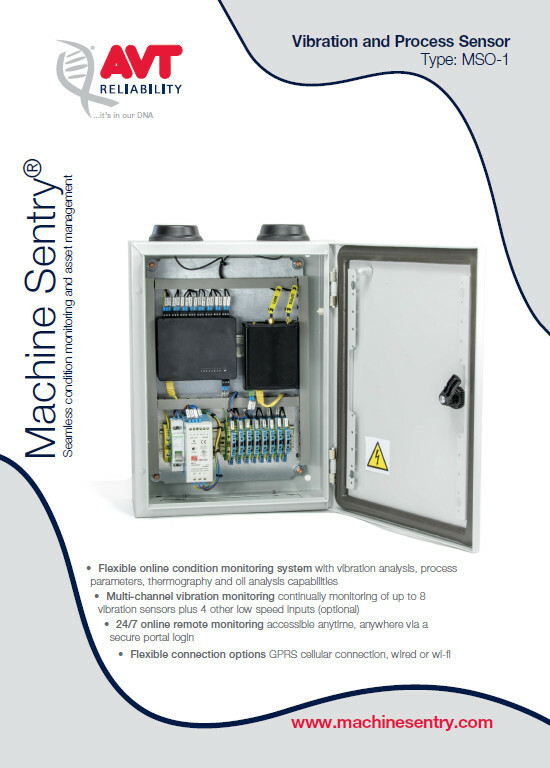 AVT Reliability is pleased to announce the recent ATEX and IECEx certification of its Machine Sentry® condition monitoring product. 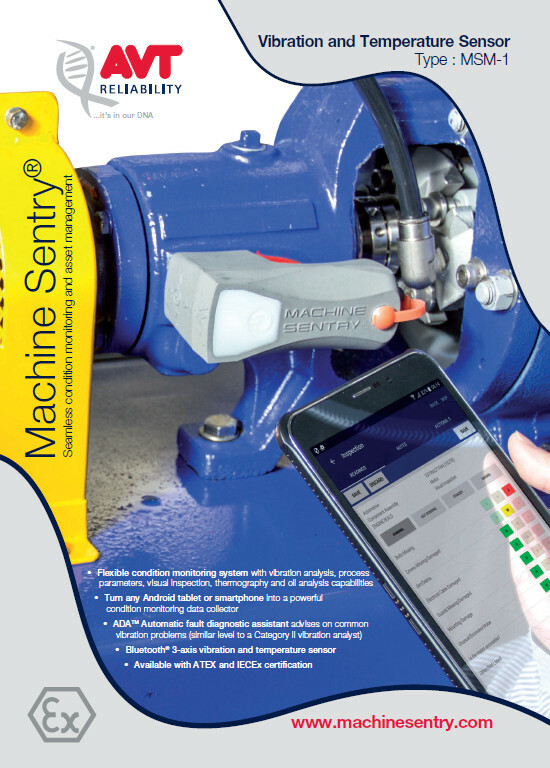 The certification enables the Machine Sentry® mobile vibration sensor to be used in a diverse range of industries from hazardous oil and gas applications right through to pharmaceutical and food and beverage. 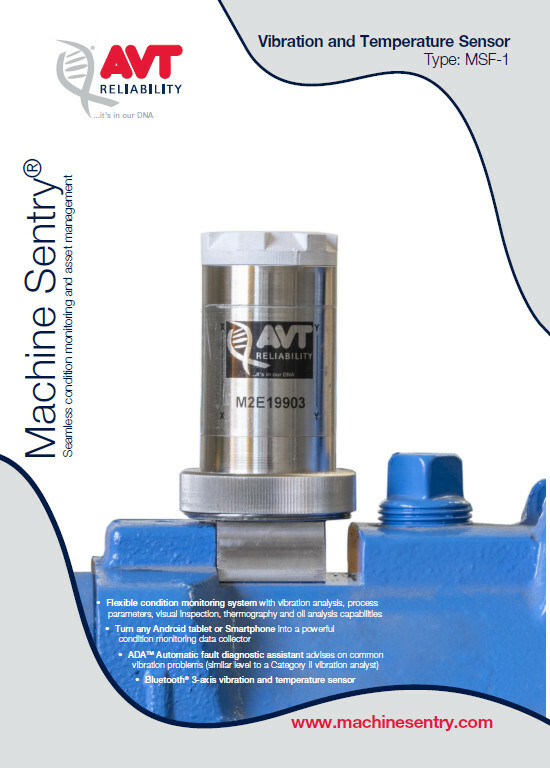 AVT Reliability® are pleased to announce further developments to Machine Sentry® its unique condition monitoring system. 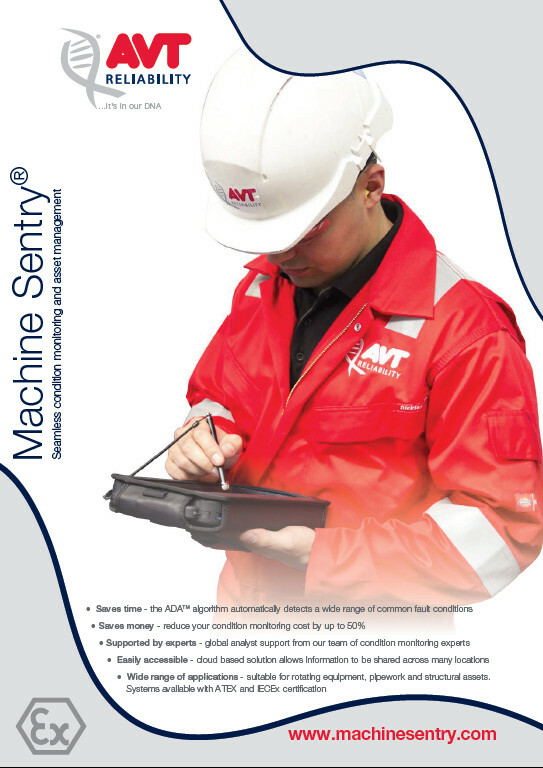 AVT Reliability provide Asset Integrity and Performance Monitoring, Maintenance Consultancy, Total Pump Management, Training and Products to Manufacturers. Specialising in Pump Repairs/Spares, Rotating Equipment Condition Monitoring, Lubrication Management, Structural Monitoring and Pipework Vibration Compliance.